Welcome to the Nonpoint Source (NPS) Pollution Education Office, administered by the Pennsylvania Association of Conservation Districts, Inc. Funding for the NPS Education Office is provided by the EPA Section 319 Program through a grant with the Pennsylvania Department of Environmental Protection. Q: What is Nonpoint Source Pollution? Q: What are the effects of NPS pollutants on our waters? A: Throughout the United States reports indicate that NPS pollution is currently the leading cause of water quality problems. The effects of NPS pollutants on specific waters vary and may not always be fully assessed. However, we know that these pollutants have harmful effects on drinking water supplies, recreation, fisheries, and wildlife. Q: What causes NPS pollution? A: We all play a part in NPS pollution. Each of us can contribute to the problem without even realizing it. Q: What can we do about nonpoint source pollution? A: We can all work together to reduce and prevent nonpoint source pollution. 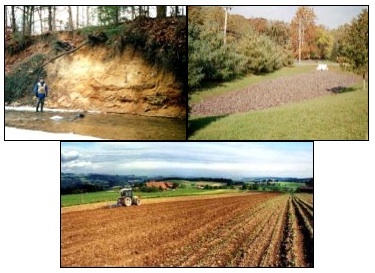 Some activities are federal responsibilities, such as ensuring that federal lands are properly managed to reduce soil erosion. Some are state responsibilities, for example, developing legislation to govern mining and logging, and to protect groundwater. Others are best handled locally, such as by zoning or erosion control ordinances. And each individual can play an important role by practicing conservation and by changing certain everyday habits. For more information on what you can do, visit the EPA website here.